As usual, time ran away with us down at the allotment and the thickly sown rows of beetroot never did get thinned out or weeded. 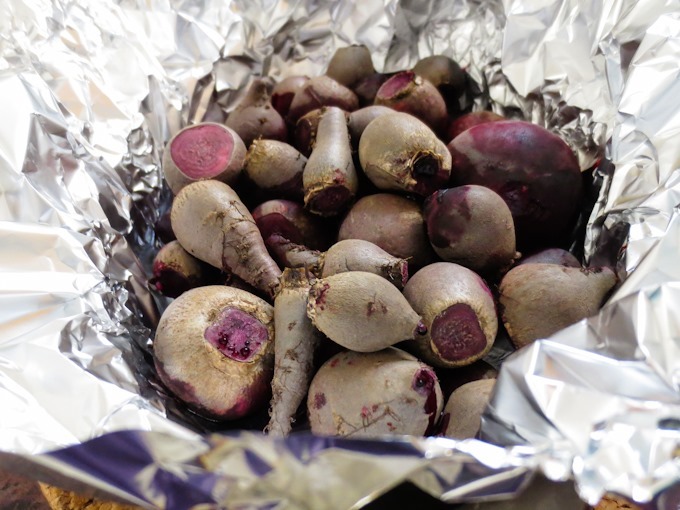 That resulted in a harvest of lots of teeny tiny beetroots which we were determined to use, as they were our very first home-grown. Pete roasted them in their skins before laboriously peeling each one. I heated some white wine vinegar with whole black peppercorns, powdered mixed spice and some Demerara sugar. 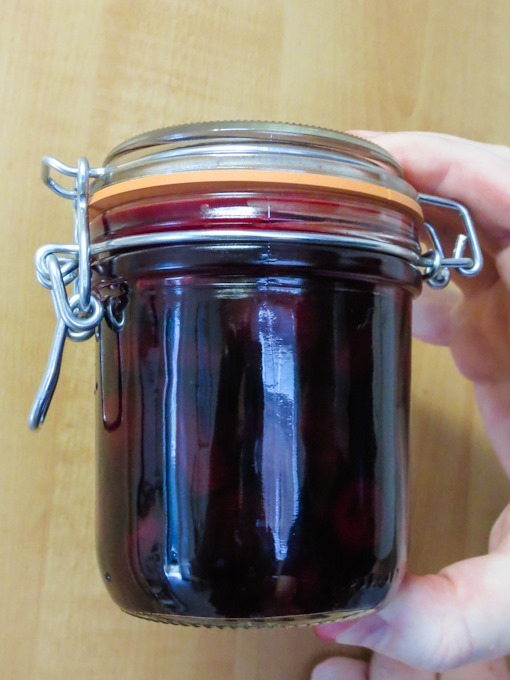 We bottled them in a (sterilised) hinged Le Parfait jar and poured the hot pickling liquid in before sealing. No idea what they’re like, but hoping they are good enough to motivate us to make a better job at the allotment next year! 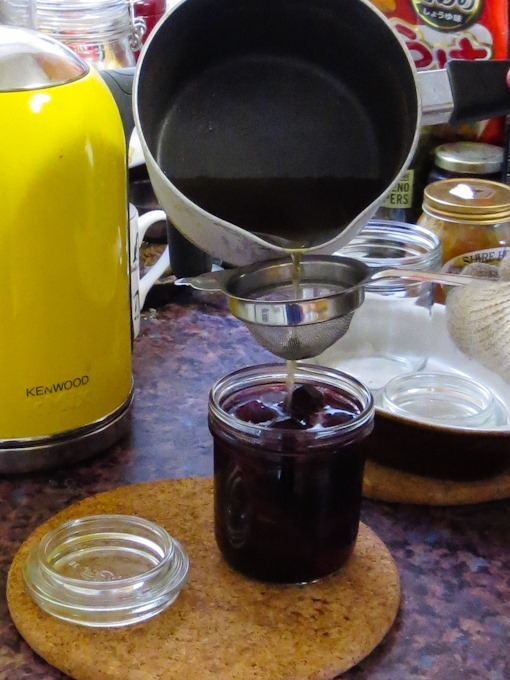 With thanks to Le Parfait for sample preserving jars. 8 Comments to "Allotment Pickings: Pickled Beetroot"
I still have a few in the garden, but will probably finish them off before winter sets in. Yours look good. Very tiny but yeah, they were good! 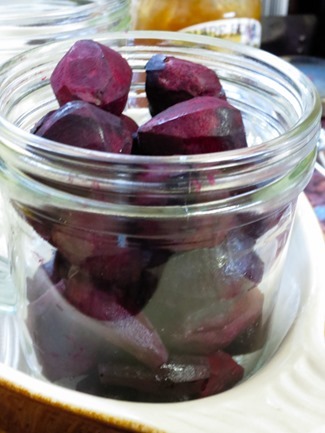 Love pickled beetroot! Homemade is always a million times better than anything you can buy! I love using mine in salads!